No one renders the pathos, chaos and impossible variety of daily encounters like David Sedaris. On every subject, he is bruisingly painful and tenderly affectionate. 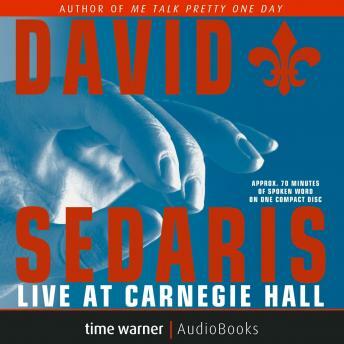 Recorded live on October 22, 2002, LIVE AT CARNEGIE HALL features excerpts from his forthcoming collection of essays, DRESS YOUR FAMILY IN CORDUROY AND DENIM. Buddy Can You Spare a Tie?